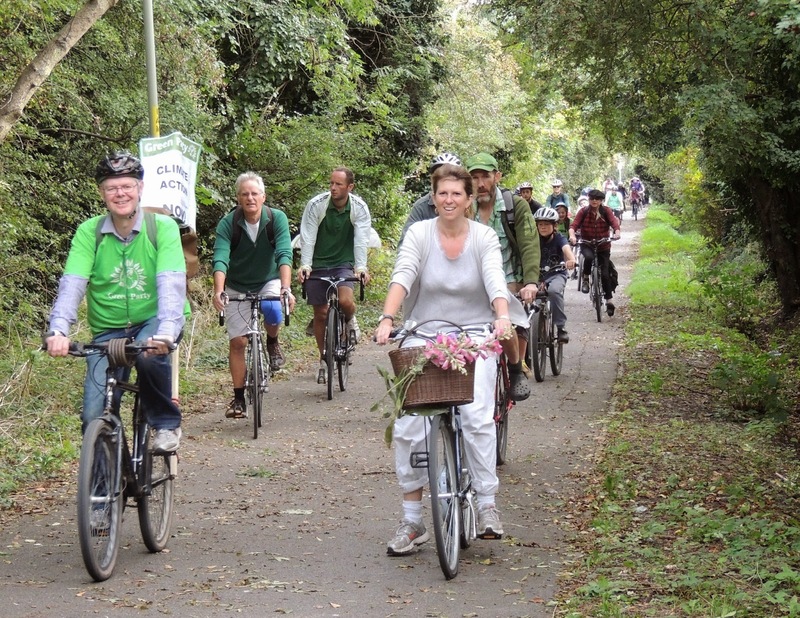 On Sunday as part of the Global Climate March a group of protesters rode along the Crab and Winkle Way from Canterbury to Whitstable. 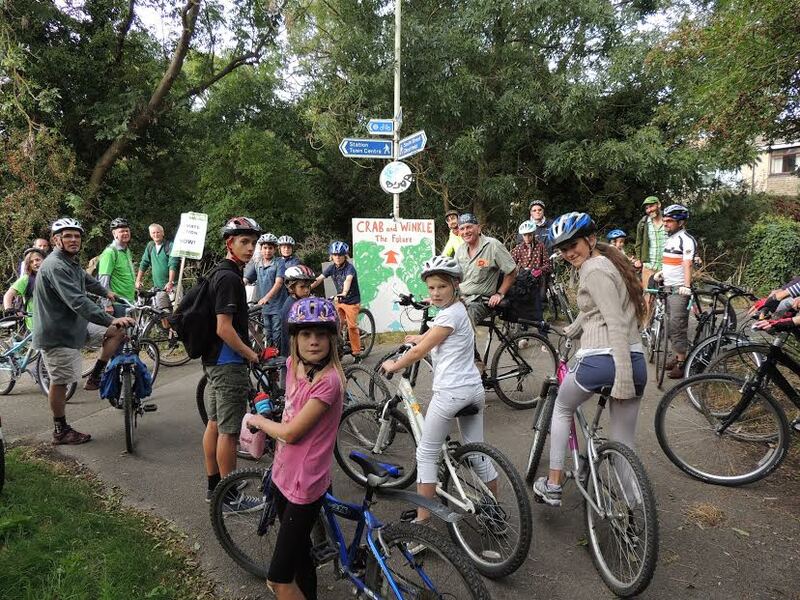 At the end of Invicta Way where we plan to extend the path over 2 new bridges right into the middle of town. Giving a safe route between residential areas, schools and other amenities. Stopping off for a rest and to collect more people at the winding pond. 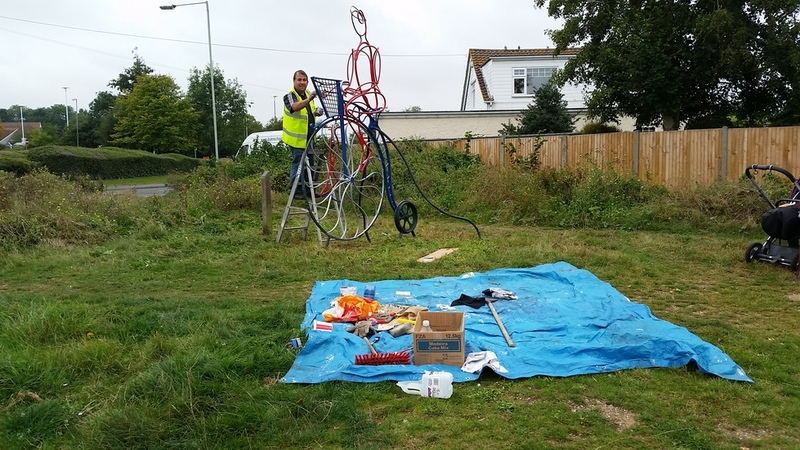 Over the weekend some of the local Sustrans volunteer rangers re-painted the Penny Farthing sculpture at the end of Invicta Way (Part of the Crab and Winkle Way) in Whitstable. 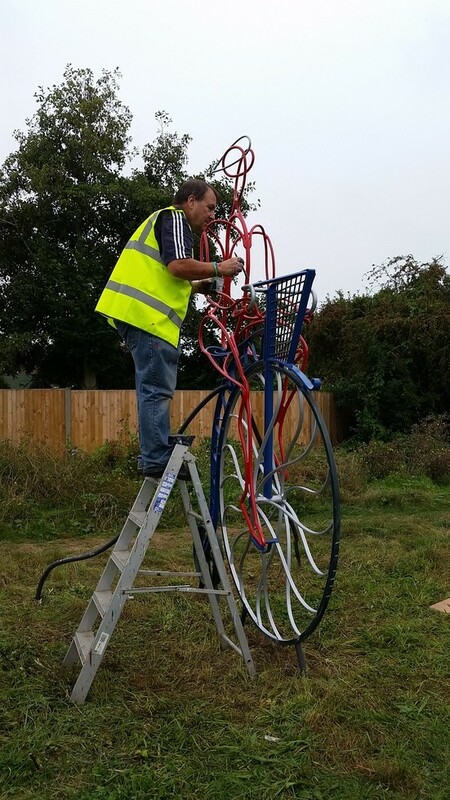 The volunteers received lots of positive comments from neighbours and also from pedestrians and cyclists as they passed. 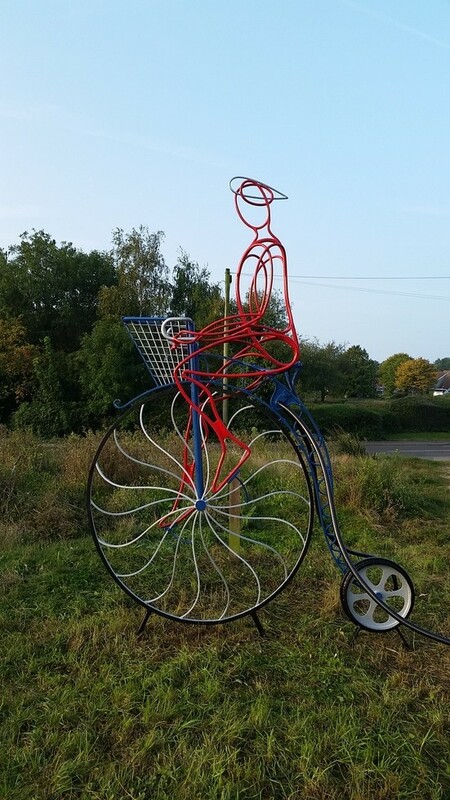 If you would like to find out more about what the volunteer rangers get up to then email matt@crabandwinkle.org. 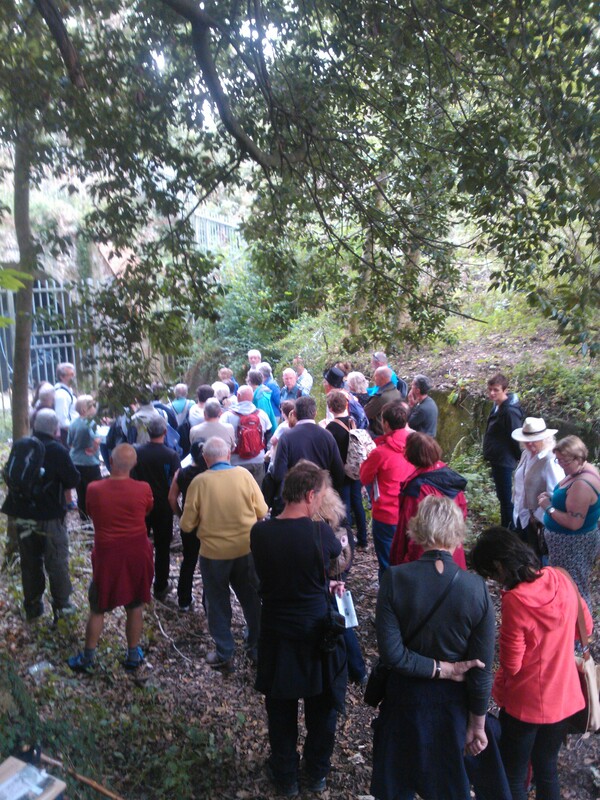 About 50 people came along to the Heritage Open Day Walk along the Crab and Winkle on Sunday. 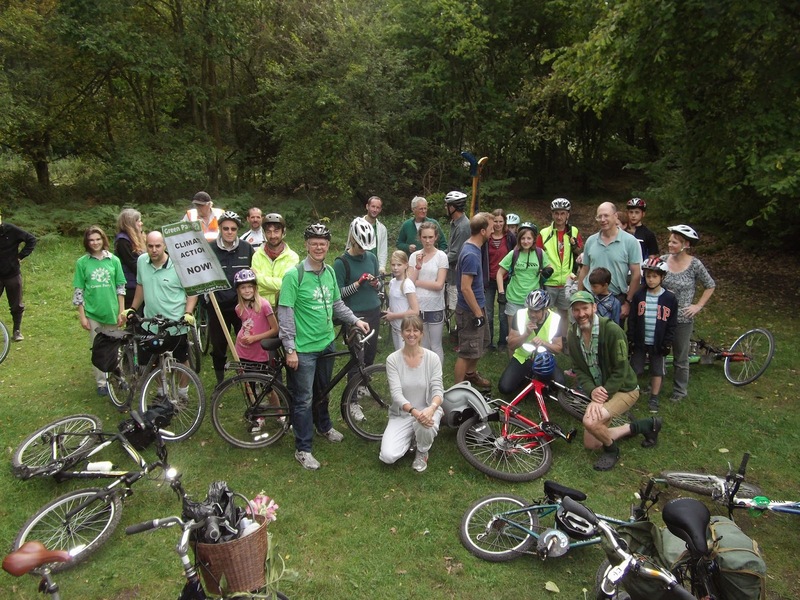 It was amazing to see so many people and to share stories and the history of the line.